Good Choice Reading: Studios Chase After Novel / Book Thief Celebration / Gift Ideas! Studios Chase After Novel / Book Thief Celebration / Gift Ideas! All the rumors are over. Universal Studios has acquired the rights to the YA novel, Daughter of Smoke and Bone. The novel was chased after by four other studios. 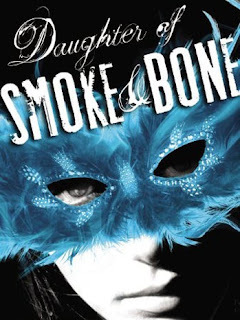 Daughter of Smoke and Bone is the first book in a trilogy, published in September by Little, Brown Books for Young Readers. It tells the story of a 17 yeawr old art student whose father occasionally sends her on errands around the world, collecting human teeth for a mysterious purpose. She gradually becomes aware that she is party of an ancient struggle between devils and angels and finds herself in a forbidden romance with a warrior angel. Congrats to the Author, Laini Taylor! THE BOOK THIEF SELLS 2 MILLION COPIES! On November 15, Rand House Children's Books announced that the critically acclaimed and internationally bestselling novel, The Book Thief, has sold 2 million copies in print, digital and audio formats. The book was published in March, 2006 and was an instant New York Times bestseller and has gone on to spend 221 weeks on the list (where it is currently #3). Set during World War II in Germany, The Book Thief is the story of Liesel Meminger, a young girl who scratches out a meager existence for herself by stealing books. With the help of her father, she learns to read and shares her stolen books with her neighbors during bombing raids as well as with the Jewish man hidden in her basement. To read GCR Maria's review of the book, Click Here. 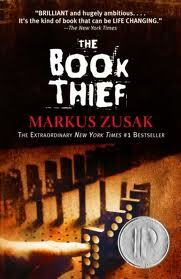 Congrats to Another Author, Markus Zusak! Look for a review of this book on GCR soon! Umm...who doesn't love anything by Stephen King? ?